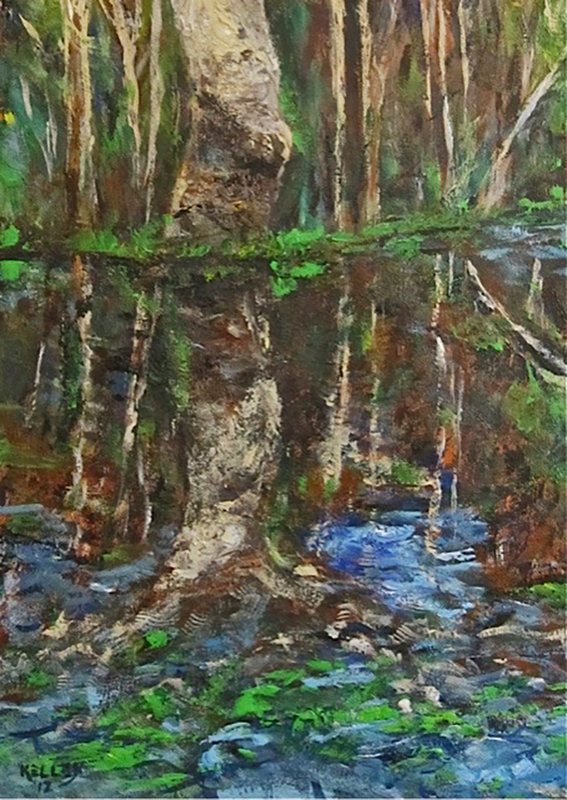 In the summer of 2007, while walking in a forrest right after a refreshing rain, I was startled by the beauty of the reflection of this mighty oak tree in a puddle of water. So I snapped a photo. “After the Rain” by Charles David Kelley, © 2012.